Sometimes it’s the smallest details that really count, especially for your business. In the world of entrepreneurship, it’s always a matter of marketing and promotion in order to make your brand stand out for customers to take notice amongst tight competition. Besides dishing out on extravagant and expensive gimmicks, you also need to make your approach a bit more personal—so as to be truly remembered and regarded by your clientele. You may not have considered it before, but matchbooks can be quite a useful promotional item for your business—especially if you are on the smaller scale of things. One of its main perks is how it can easily be given away for customers to keep and use, and how budget-friendly it is for entrepreneurs when it comes to their marketing budgets. But what are the specific uses and purposes of promotional custom matches anyway? For one, it can help create brand awareness regardless if you’re just starting out or an already established business venture. You can consider this as an alternative to the calling card. You can place your logo on it as well as contact details, and there’s a lesser chance of customers losing it because they can actually use a match at home. Just for the fact that it’s a useful item at home, it will make them think twice about throwing it away. Celebrating a special occasion or event in your company? You can have customized matchbooks made just for that special occasion—such as anniversary, holidays, milestones, etc.—that you could use as giveaways for customers and even staff members. It can serve as a token to remember that momentous event and could even be a collector’s item for your company as well. This is the time to come up with a more unique design instead of just your standardized logo to make it look more interesting. Of course, branding can still be very much present and it all depends on how you execute the design template. You can also be very specific in promoting aspects of your brand to your target audience. Are you launching a new product, special deal, or perhaps helping out a special cause? Instead of your usual flyers, custom-made matchbooks can be a much more effective alternative. Once again, its usefulness plays a big role for your customers to pay attention to it instead of just looking it over. The fact that they can easily keep it inside their bag or their pockets also makes it more effective in bringing attention to your business. Also handing out more matchbooks to the public can also lead them to hand these out to their peers, which in turn would expand the reach of the name of your brand. Remember to always keep it personal and keep it simple when it comes to these promotional items. 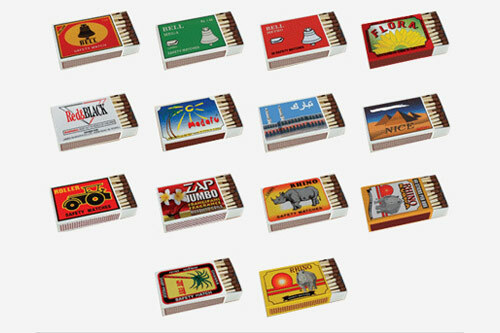 You can start having your very own custom matchbooks made by looking for reliable supplier online. All you have to do is to come up with the design template that you want and have it customized based on the shape and colors to be used. This is surely a very affordable and effective form of promotion and you won’t even have to leave the comfort of your seat to have it done.